Earnings from running a business is more highly varied than income from working for someone else. Business owners whose companies are successful tend to earn a lot more than business owners whose companies are unsuccessful. But among those who work for wages, variance in pay among high and low performers is lower than among entrepreneurs. For the wealthiest Americans, this trend is even more pronounced. “According to data provided by Emmanuel Saez, the fraction of income of the top one percent that comes from running their own businesses rose from 7.8 percent in 1981 to 28.6 percent in 2011,” I wrote a couple of years ago. Recently Richard Freeman of Harvard University produced a report for the ThirdWay, a non-profit organization devoted to providing insight into policy issues, which provides another mechanism through which rising entrepreneurship increases inequality – wages. 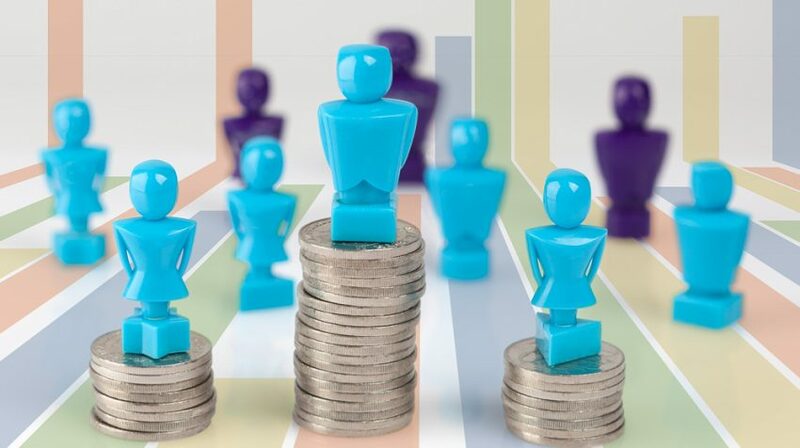 Freeman’s research shows that four-fifths of the variance in earnings of workers who have similar skills comes from differences in the performance of their employers. Moreover, this is true in every sector of the economy. The reason is difference in company performance. Firms, Freeman writes, adjust wages as their performance in the market shifts either by explicitly through stock ownership or implicitly through management decisions. For instance, among two people of equal skill, the one who had the fortune of going to work for Facebook instead of MySpace in 2005 when the two were roughly equally valued ended up with much higher incomes a decade later because Facebook performed better as a company than MySpace. The variance in incomes that comes from differences in the performance of firms has been rising over time and is partially responsible for the increase in inequality, Freeman explains. What Freeman doesn’t say, but implies, from the examples of companies he uses to illustrate his points is that a lot of this earnings-driven variation in the earnings comes from growing differences between successful and unsuccessful young companies. The difference in earnings that have resulted from being one of the first five employees at Amazon.com rather than Books.com or at Facebook rather than MySpace contributes to growing income inequality in the United States. As we get more and more start-up situations where the winners win very big, income inequality rises. In short, it appears that entrepreneurship has contributed to rising income inequality in the United States in two ways. First, more of Americans income comes from their entrepreneurial activity than was the case three decades ago. Since entrepreneurial income is more unequal than wage income, the greater reliance on entrepreneurial income means less equal compensation. Second, wage income has become more varied because those people who have gone to work for more successful companies have earned far more than people who have gone to work for less successful ones.